Looking for a skilled installer or service professional for your commercial HVAC system? 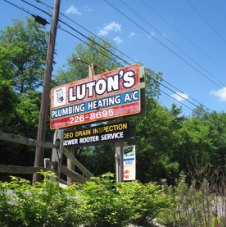 Luton’s brings years of experience to the table offering you a wide variety of heating and air systems that will fit the needs of your business. In addition to installing units large and small, Luton’s also services all new and existing systems. Routine maintenance not only gives you peace of mind, but also fulfills your service agreement with your supplier, saving you money in the long run. Utilizing the skills of a certified design build engineer, Luton’s will plan your system so it fits the particular needs of your commercial property. And, after taking you through the permitting process, we’ll take it a step further and expertly install your new system. The type of heating, cooling and ventilation system you choose depends on the size of your business. 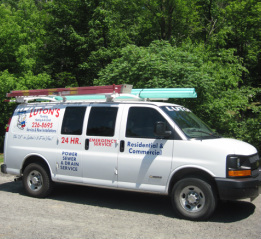 Luton’s can help you decide which types of units would be the most cost effective and efficient for your building(s). This energy efficient heating and cooling system utilizes the ground’s energy and water-filled pipes to regulate the temperature of your commercial property. Underground pipes run into your building and are hooked up to a standard furnace or air conditioning unit. With little electricity and no fuel costs, geothermal heating and air conditioning is a highly efficient way to heat and cool your building(s). In your business, we know that keeping your products cool can be essential to turning a profit. And if your refrigeration units aren’t working properly, your profits can easily take a turn for the worst. 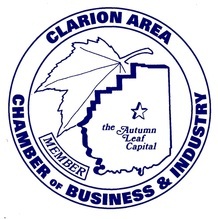 Luton’s services coolers and freezers for Western Pa. businesses that rely on refrigeration like restaurants, convenience stores, grocery stores, bars and beverage distributors. 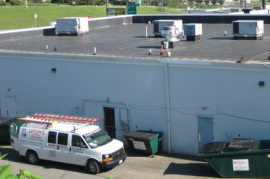 "We’ve got an older building with a very complicated furnace and air conditioning system. When it’s mid July and hot out there -- Luton’s got individuals who know what do." “I have a rental property that is 101 years old, and I wanted to convert it to something efficient. 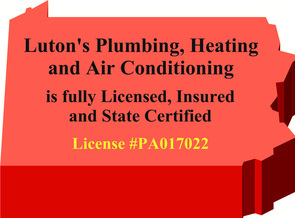 Luton’s did a marvelous job for me -- taking out the old hot water heating and adding full high efficiency gas forced air heat and air conditioning. “I had a refrigeration unit go down and when you have four days worth of food products sitting you can’t wait long.